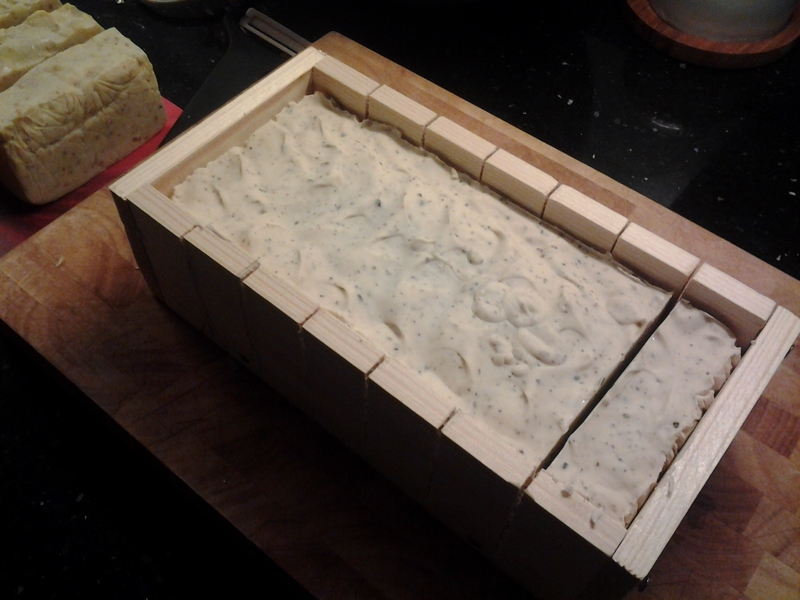 Before I started the process I learned there were a couple of methods how to make soap. I decided on the “cold soapmaking process” because you can make it at home with ingredients you find in the supermarket and your friendly neighbourhood DIY stores (little did I know that B&Q and Woody’s stock the ominous sodium hydroxide as “caustic soda” which I use to unblock my drains ever so often). It’s also a process that produces a high quality soap with lots of skin moisturizing oils and natural glycerine as well as a harder bar that doesn’t get mushy when left in a wet puddle on the sink for too long. Curing these soaps for 4-6 weeks is important to get rid of possibly remaining sodium hydroxide. So this is how it goes: For cold process soap, very simply put, you combine sodium hydroxide, water and oils, mix the whole thing, pour it into a mould and – voila, you have a soap once it has set. That’s the theory as it applies to me. For the chemically advanced, the alkaline solution (sodium hydroxide) causes a chemical reaction called “saponification” turning the whole thing into salts of fatty acids and glycerine. You need the right amount of sodium hydroxide (from here on only referred to as lye) in relation to the oils otherwise your soap making goes pear-shaped. The same is true for the temperatures – oils too cold or too hot can mean that the saponification process doesn’t kick in. 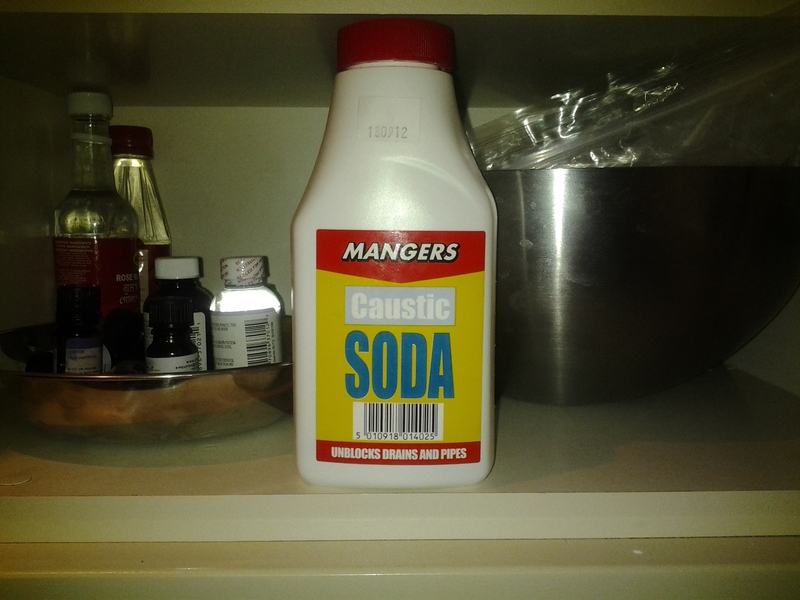 Let me also tell you at this stage that caustic soda is, well, caustic. Mixed with water it smells like Dante’s inferno and if in contact with your skin stings like hell (and most likely leaves burn marks if not washed off immediately). It also discolours most liquids that I used instead of water. Imagine my surprise seeing my goat’s milk turn a bright yellow and the red berry tea I added to create a lush pink turning first green and then orange. Just so you know. In a nutshell it’s all pretty easy. Really. Well, most of the time. 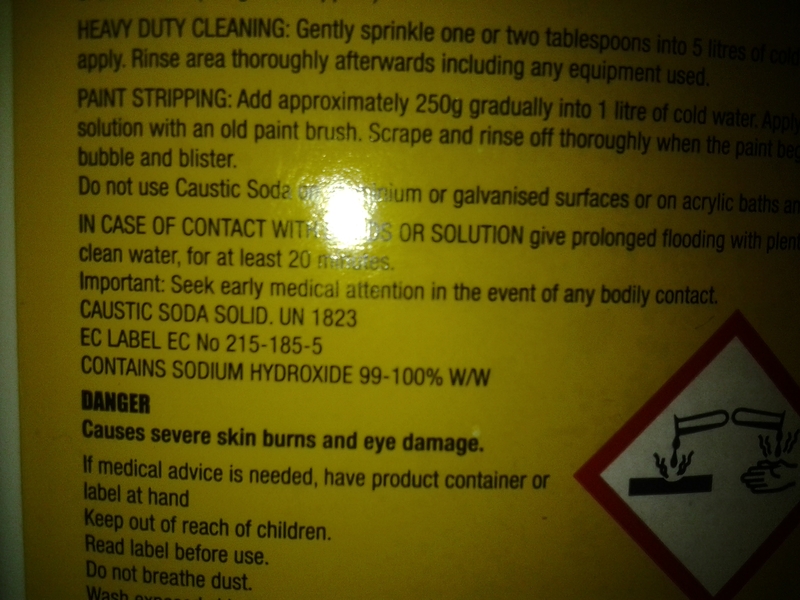 Posted on October 24, 2013 by soapmeprettyblog	• This entry was posted in Soaps and tagged caustic soda, saponification process, Soap, sodium hydroxide. Bookmark the permalink.